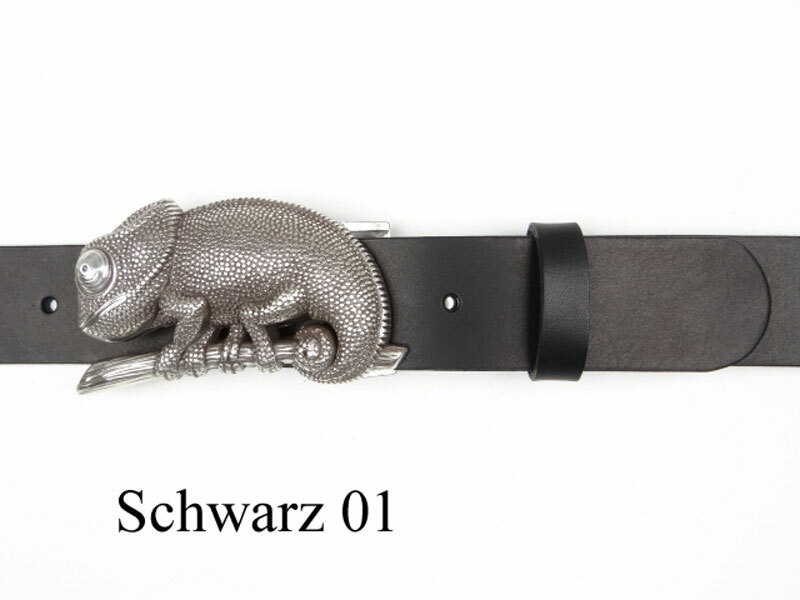 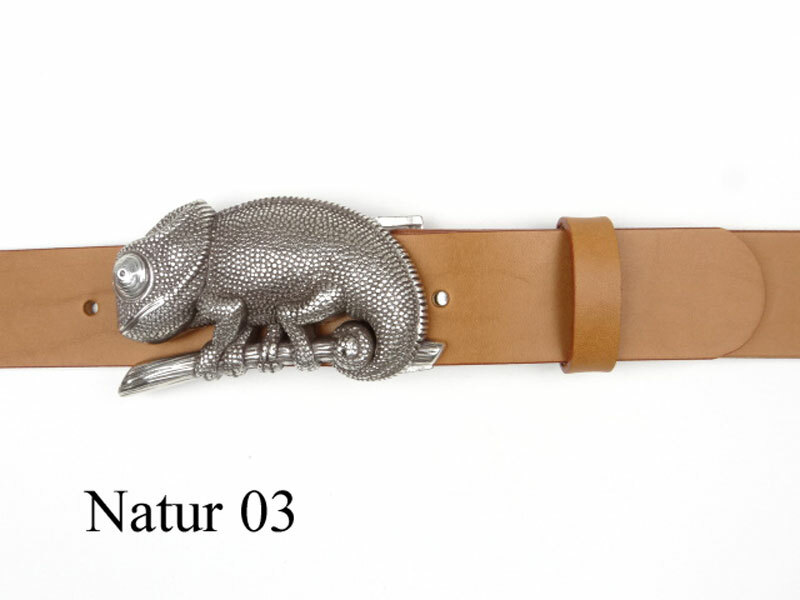 Belt with excellently crafted silver-plated chameleon buckle and leather loop, 4cm wide. 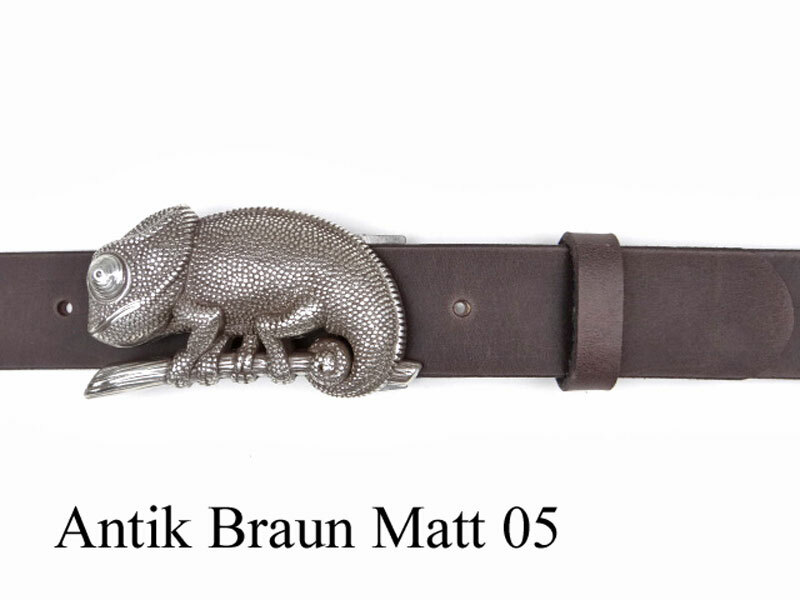 The chameleon is an absolutely fascinating creature. 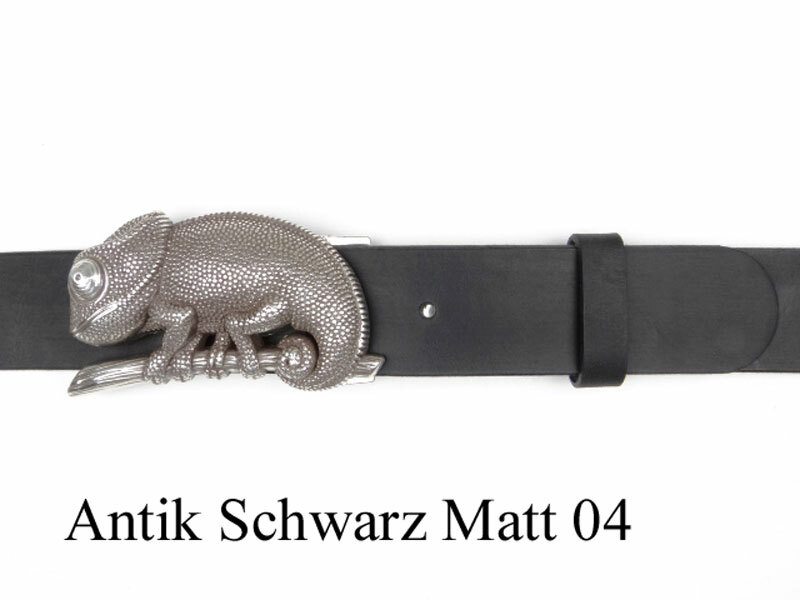 It can change colour as a means of camouflage or as part of a courtship display. 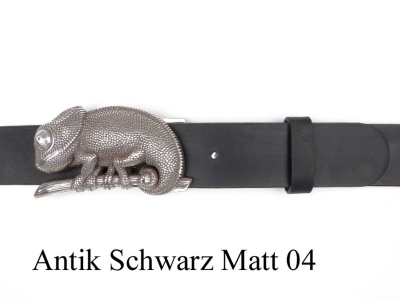 It can move both eyes independaetly of one another, thus enabling it to look backwards and forwards at the same time and can focus as closely as 1 cm. 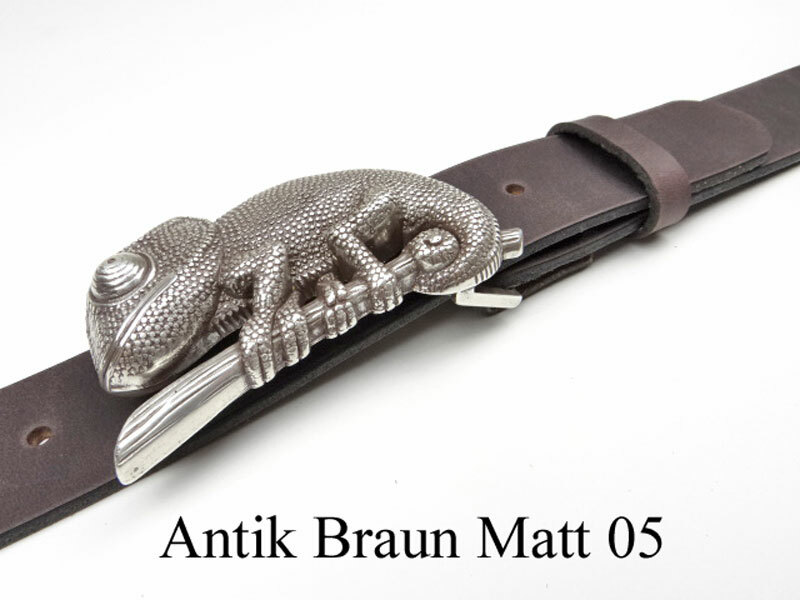 If it sights a victim it can shoot out its tongue up to 1.5 times its body length and catch insects effortlessly. 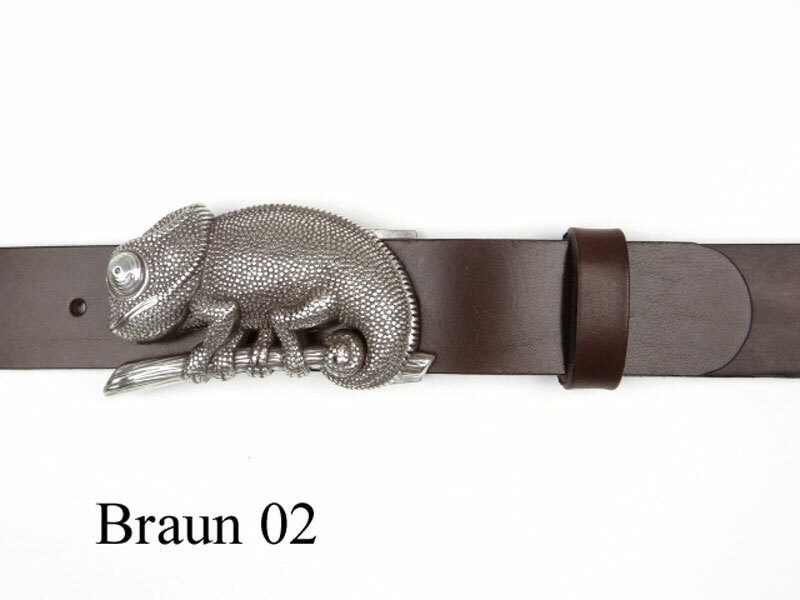 Combine this chameleon buckle with a leather belt in one of our 5 colours: Brown, tan, antique matt brown, black, antique matt black.